In World of Warcraft: Legion, questing at level 110 comes in new variations called World Quests. The new World Quest system represents a major change from how player characters used to make regular progression daily or weekly. 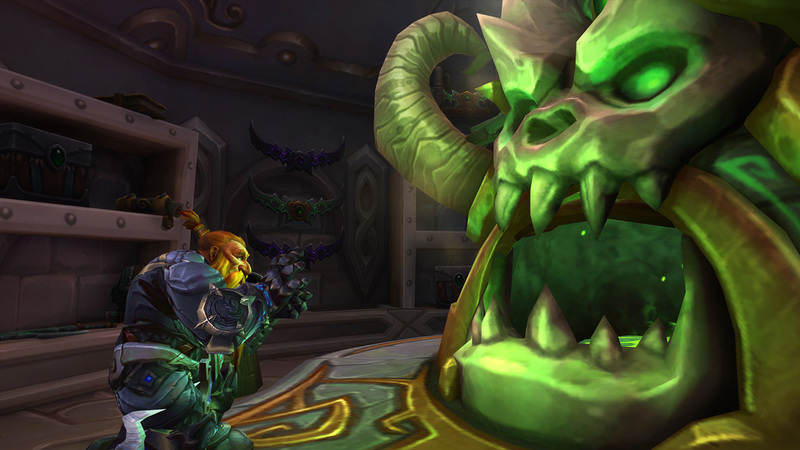 In Legion, you’ll find the war taking place on multiple fronts—all over the Broken Isles, with a wide variety of ways you can participate in pushing back the invaders, as well as growing your character and being a big part of the story of Warcraft. 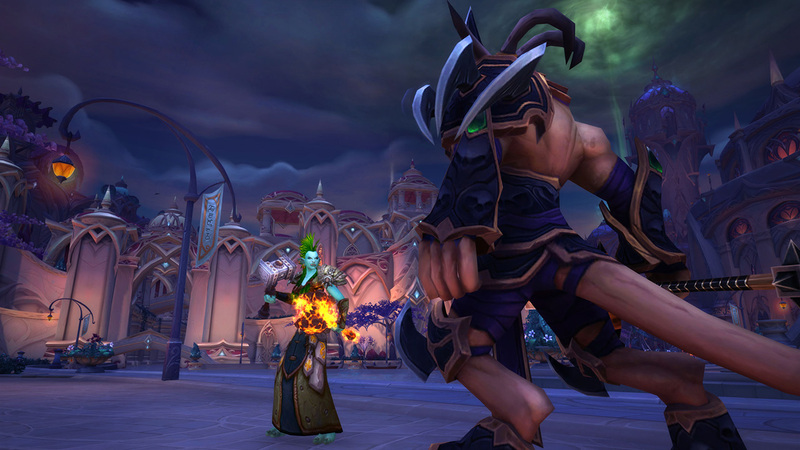 First and foremost, World Quests are available to players starting at level 110. When you reach 110, you’ll be called upon to prove that you’ve reached Friendly reputation with the five primary factions of the Broken Isles, you’ll receive your Flight Master’s Whistle, and World Quests will begin to appear all over your map. The Flight Master’s Whistle is one of the most-useful items around—when you activate it, you’ll be (almost) instantly whisked away to the nearest known flight master. More than ever before, you’ll want to get to know all of the flight masters in every zone! 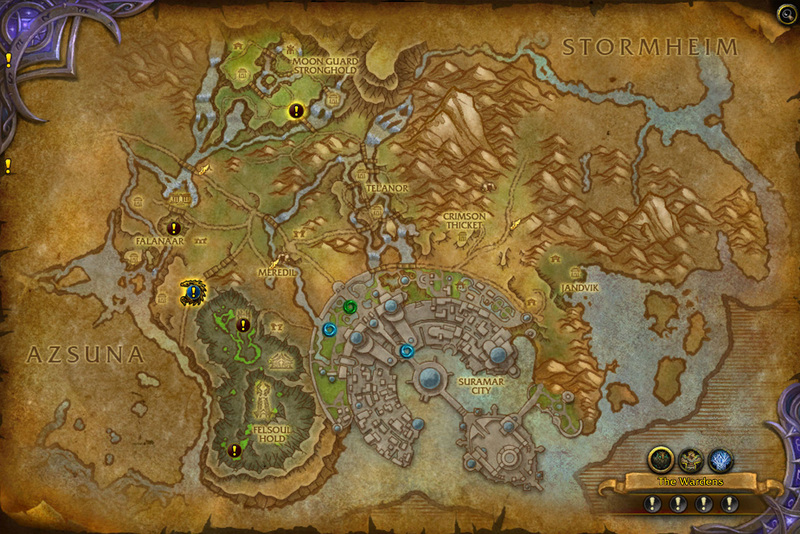 The primary zones in which you’ll find World Quests are: Azsuna, Highmountain, Stormheim, Suramar, and Val’sharah. You and everyone else on your realm will be offered the same World Quests at any given time, so don’t forget to group up when necessary! World Quests come in varying durations, and those that are more difficult (and rewarding) typically have longer durations. This is so that you can decide when to do them, and since completing World Quests doesn’t cause more World Quests to immediately spawn, you can make the most of your time. A difficult challenge that requires multiple people. A task related to one of your professions. A World Boss that requires many people. A dungeon challenge that you’ll do with a group. Some rewards scale with your current item level. There are hundreds of World quests in store for you in the Broken Isles, so you won’t be seeing too many of the same World Quests anytime soon. You’ll want to keep your eyes on for Emissary Quests, which reward you with a valuable satchel when you complete them. 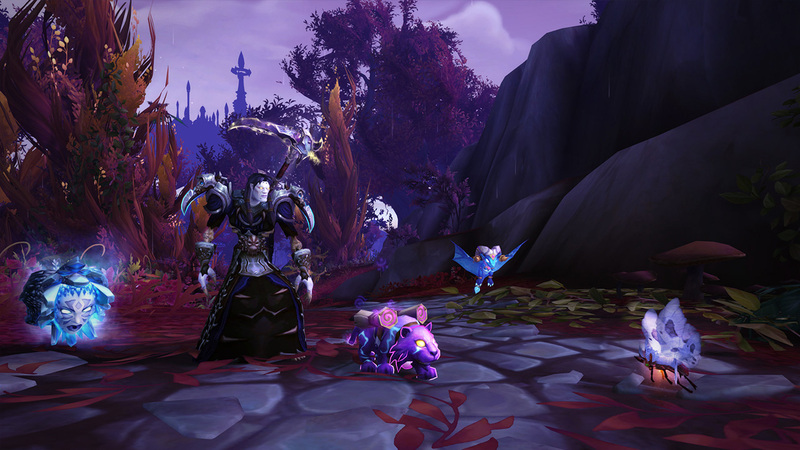 Each day, a new Emissary Quest will become available to you, and you can have up to three Emissaries at the same time. Each of the Emissary World Quest turn-ins offers reputation with the primary faction of its associated zone. That means that if your biggest focus is Nightfallen reputation, you’ll want to make sure you don’t miss the Emissary World Quests in Suramar when they’re available.